Diabetes is a disorder that affects the way your body uses food for energy. Normally, the sugar you take in is digested and broken down to a simple sugar, known as glucose. The glucose then circulates in your blood where it waits to enter cells to be used as fuel. Insulin, a hormone produced by the pancreas, helps move the glucose into cells. A healthy pancreas adjusts the amount of insulin based on the level of glucose. But, if you have diabetes, this process breaks down, and blood sugar levels become too high. There are two main types of full-blown diabetes. People with Type 1 diabetes are completely unable to produce insulin. People with Type 2 diabetes can produce insulin, but their cells don’t respond to it. In either case, the glucose can’t move into the cells and blood glucose levels can become high. Over time, these high glucose levels can cause serious complications. Pre-Diabetes: Pre-diabetes means that the cells in your body are becoming resistant to insulin or your pancreas is not producing as much insulin as required. Your blood glucose levels are higher than normal, but not high enough to be called diabetes. This is also known as “impaired fasting glucose” or “impaired glucose tolerance”. A diagnosis of pre-diabetes is a warning sign that diabetes will develop later. The good news: You can prevent the development of Type 2 diabetes by losing weight, making changes in your diet and exercising. Type 1 Diabetes: A person with Type 1 diabetes can’t make any insulin. Type 1 most often occurs before age 30, but may strike at any age. Type 1 can be caused by a genetic disorder. The origins of Type 1 are not fully understood, and there are several theories. But all of the possible causes still have the same end result: The pancreas produces very little or no insulin anymore. Frequent insulin injections are needed for Type 1. Type 2 Diabetes: A person with Type 2 diabetes has adequate insulin, but the cells have become resistant to it. Type 2 usually occurs in adults over 35 years old, but can affect anyone, including children. The National Institutes of Health state that 95 percent of all diabetes cases are Type 2. Why? It’s a lifestyle disease, triggered by obesity, a lack of exercise, increased age and to some degree, genetic predisposition. Gestational Diabetes:Gestational diabetes (GD) affects about 4 percent of all pregnant women. It usually appears during the second trimester and disappears after the birth of the baby. Like Type 1 and Type 2, your body can’t use glucose effectively and blood glucose levels get too high. When GD is not controlled, complications can affect both you and your baby. Your doctor will help you work out a diet and exercise plan, and possibly medication. Having GD increases your risk for developing it again during future pregnancies and also raises your risk of Type 2 diabetes later in life. Diabetes mellitus (IPA: /ˌdaɪəˈbiːtiːz/ or /ˌdaɪəˈbiːtəs/, /məˈlaɪtəs/ or /ˈmɛlətəs/), often referred to simply as diabetes (Greek: διαβήτης), is a syndrome characterized by disordered metabolism and abnormally high blood sugar (hyperglycaemia) resulting from low levels of the hormone insulin with or without abnormal resistance to insulin’s effects. The characteristic symptoms are excessive urine production (polyuria), excessive thirst and increased fluid intake (polydipsia), blurred vision, unexplained weight loss and lethargy. These symptoms are likely to be absent if the blood sugar is only mildly elevated. 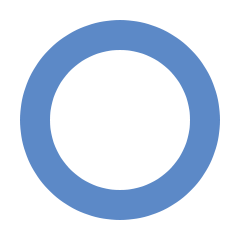 The World Health Organization recognizes three main forms of diabetes mellitus: type 1, type 2, and gestational diabetes (occurring during pregnancy), which have different causes and population distributions. While, ultimately, all forms are due to the beta cells of the pancreas being unable to produce sufficient insulin to prevent hyperglycemia, the causes are different. Type 1 diabetes is usually due to autoimmune destruction of the pancreatic beta cells. Type 2 diabetes is characterized by insulin resistance in target tissues. This causes a need for abnormally high amounts of insulin and diabetes develops when the beta cells cannot meet this demand. Gestational diabetes is similar to type 2 diabetes in that it involves insulin resistance; the hormones of pregnancy can cause insulin resistance in women genetically predisposed to developing this condition. A 2008 study completed in the U.S. found that more American women are entering pregnancy with diabetes. In fact the rate of diabetes in expectant mothers has more than doubled in the past 6 years. This is particularly problematic as diabetes raises the risk of complications during pregnancy, as well as increasing the potential that the children of diabetic mothers will also become diabetic in the future. Gestational diabetes typically resolves with delivery of the child, however types 1 and 2 diabetes are chronic conditions. All types have been treatable since insulin became medically available in 1921. Type 1 diabetes, in which insulin is not secreted by the pancreas, is directly treatable only with injected insulin, although dietary and other lifestyle adjustments are part of management. Type 2 may be managed with a combination of dietary treatment, tablets and injections and, frequently, insulin supplementation. While insulin was originally produced from natural sources such as porcine pancreas, most insulin used today is produced through genetic engineering, either as a direct copy of human insulin, or human insulin with modified molecules that provide different onset and duration of action. Insulin can also be delivered continuously by a specialized pump which subcutaneously provides insulin through a changeable catheter. Diabetes can cause many complications. Acute complications (hypoglycemia, ketoacidosis or nonketotic hyperosmolar coma) may occur if the disease is not adequately controlled. Serious long-term complications include cardiovascular disease (doubled risk), chronic renal failure, retinal damage (which can lead to blindness), nerve damage (of several kinds), and microvascular damage, which may cause impotence and poor healing. Poor healing of wounds, particularly of the feet, can lead to gangrene, which may require amputation. Adequate treatment of diabetes, as well as increased emphasis on blood pressure control and lifestyle factors (such as not smoking and keeping a healthy body weight), may improve the risk profile of most aforementioned complications. In the developed world, diabetes is the most significant cause of adult blindness in the non-elderly and the leading cause of non-traumatic amputation in adults, and diabetic nephropathy is the main illness requiring renal dialysis in the United States. See the rest of the wikipedia article here.